Edwards Removals have established an unrivalled reputation throughout London and the rest of the UK for a superior removals service, and this includes the careful, sensitive removal of high-value items such as fine art and sculptures. 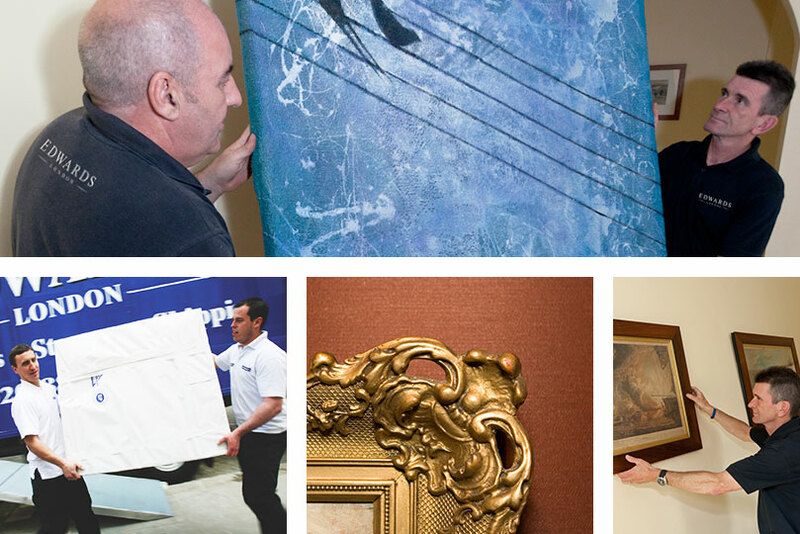 Our team of reliable, professional movers have a wealth of experience dealing with fine art, and treat every single piece with the care and attention it deserves. You can also opt for our complete packing service for the ultimate convenience and, in doing so, can be sure of paramount safety. Expertly wrapped for optimum protection and placed in strong, individual picture cartons, your fine art will be completely secure during transit, and we can even supply wooden crates for ornate mirrors and guilt framed artwork. We’re proud members of the British Association of Removers, and believe it signifies the high-class service you can expect from us and you are granted complete peace of mind that we work in complete accordance with all necessary regulations. So for more information about our fine arts removals service, and to discuss your bespoke needs with one of our experts, simply contact us today. Expertly wrapped for optimum protection and placed in strong, individual picture cartons. For an exceptional moving experience and first class customer service complimentary quotation on 020 3124 1839. For any advice on your move ahead of the big day, simply contact our office and we’ll be delighted to help. Whatever services you may require, Edwards understands how to provide that personal touch.